Find your filter pads and loose filter media for Aqua One's new Ocellaris 1400 External Canister Filters, along with those essential Aqua One Spares such as tap sets and impellers. 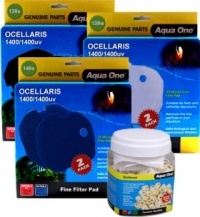 We have huge stocks for all Ocellaris filters, ready for immediate despatch. 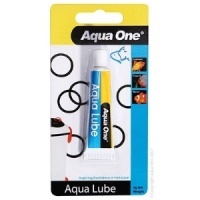 Genuine Aqua One Lube used to prevent wear and tear on taps, o rings and moving parts.